Yes! I look forward to attending the upcoming JWC event! 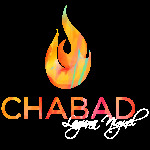 Please make your check payable to Chabad of Laguna Niguel. To pay by credit card, please fill out the form below, otherwise, scroll to the bottom of the page and click "submit" to complete your reservation.